"I grew up playing football with my brother on the boys' team but when I turned 14 they stopped me playing because I was a girl"
Penny Cula-Reid and Mia-Rae Clifford. Image: Alexander Legaree. Queer women are kicking goals in sports around Australia. 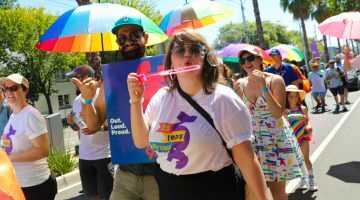 Jess Jones spoke to four of the best about being openly gay in their fields, the gender pay gap, and inspiring today’s youth. 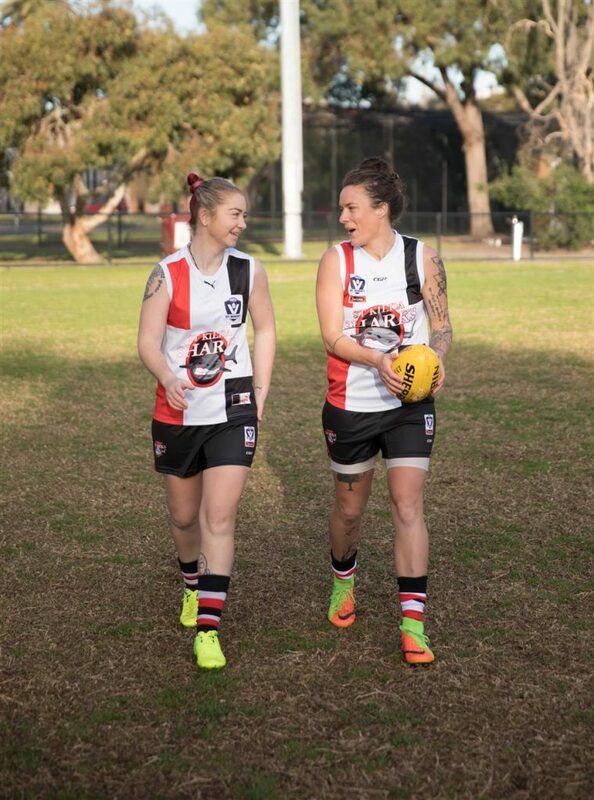 The AFL’s first openly gay couple, Penny Cula-Reid and Mia-Rae Clifford, say they’ve experienced more challenges in sport as women than as lesbians. “We don’t get the same pay rates, we don’t get the same opportunities, and we don’t get the same marketing,” explains Clifford. “Professional footballers and netballers still work part-time because they have to, while they’re playing in the highest competition possible. Even as a kid, when Clifford wanted to play football she often faced obstacles and bullying. “Back then there were no women’s or girls’ teams,” she says. “I grew up playing football with my brother on the boys’ team, and when I turned 14 they stopped me from playing because I was a girl. Cula-Reid, who faced similar barriers, ultimately took Football Victoria to court to get the rules changed and enabled the girls competition to be introduced. However, despite women in AFL getting a raw deal in many ways, Cula-Reid says she plays the game for the passion, not the pay. Penny and Mia. Image: Alexander Legaree. “I want to build a future for the next generation – Mia and I play because we love it,” she says. The couple met at the St Kilda Sharks club five years ago, and are now engaged. They’re hoping to be married next year. “Penny was my assistant coach when we met,” says Clifford. Cula-Reid had been playing women’s football for 13 years, while Clifford had no idea it even existed. “I was just in town to touch base with family, and then I found out women’s footy existed, so I was straight on it,” says Clifford. Cula-Reid adds that while they’re in a relationship, it’s important to maintain a distinction when the pair are on and off the field. “Being together and playing the same sport, I said to Mia, when we’re at football I’m your teammate, not your girlfriend. To keep it as professional as possible. Off the field we’re a couple,” she says. Initially playing on the same team, they were later drafted to opposing teams and now play against each other on the field. “That made it even more exciting,” laughs Clifford. The couple say they’ve never experienced homophobia in sport. 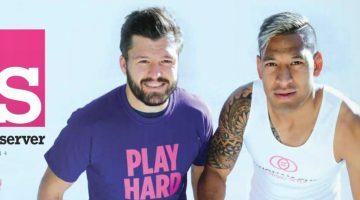 Clifford’s advice for young LGBTI people in sports is to be themselves and to be proud. High-profile soccer player Michelle Heyman came out to her parents at 18, only for them to tell her that they already knew. Heyman knows her story of inclusion is not the same as everyone’s experiences, and she prides herself on being a role model and supporter for young people in sport who may be struggling with their identity or being accepted. “That’s why I try and stand up as much as I can for this, because I know I’ve had an easy run compared to other people,” she says. “That’s the one thing I love about being in the public eye, being able to inspire the next generation of kids to be comfortable with who they are, and if they love it to just go for it. Hopefully one day they’ll be able to be in the Matildas or the Socceroos. 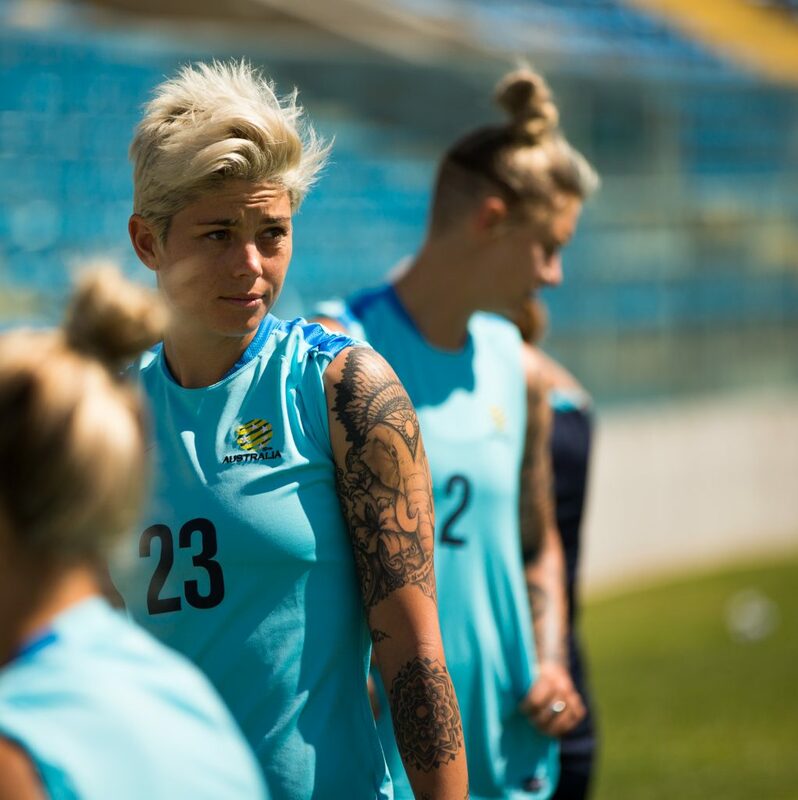 Heyman started playing soccer as a 12-year-old and now plays for Canberra United. She’s been very accepted by her sporting peers. But not everything is always positive. Heyman echoes Cula-Reid and Clifford’s experiences of the gender pay gap in professional football. “There’s a big pay difference between us and the Socceroos,” she says. “In 2015, the Matildas had a boycott. We were meant to play in America, and we told them we weren’t going to go unless we got paid more. We cancelled our flights and ended up getting double our wage. Hayley Bateup wasn’t yet out as gay when she became a professional Ironwoman at 16. “I had boyfriends until I was about 21,” she says. “I never had any thoughts about it growing up, and then I had a girlfriend. “To me it’s just normal. My family thinks it’s normal, and I have a normal life with a partner and a child. 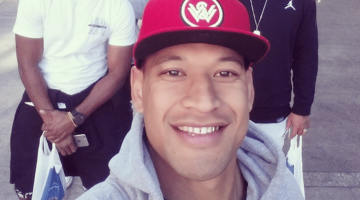 Outside the world of team sports, Bateup now works as a firefighter and personal trainer. “Now I’ve got a so-called normal job,” she says. “But it’s still not really normal, being a firefighter. “That’s always what I wanted to do when I retired. The transition’s been really good. A lot of sportspeople retire from sport and feel a little bit lost, but this has given me a whole new direction and challenge, and my work as a personal trainer helps me stay fit. Bateup says Ironmen and Ironwomen are now paid the same, though it wasn’t the case when she first started in the sport. Bateup describes her life now as “an awesome ride”. She and partner April have a two-year-old son, and April is pregnant with their second child. After a lifetime as a sportsperson, Bateup encourages women to support other women in sport.